A contemporary, coastal style is showcased by these nautical shells. 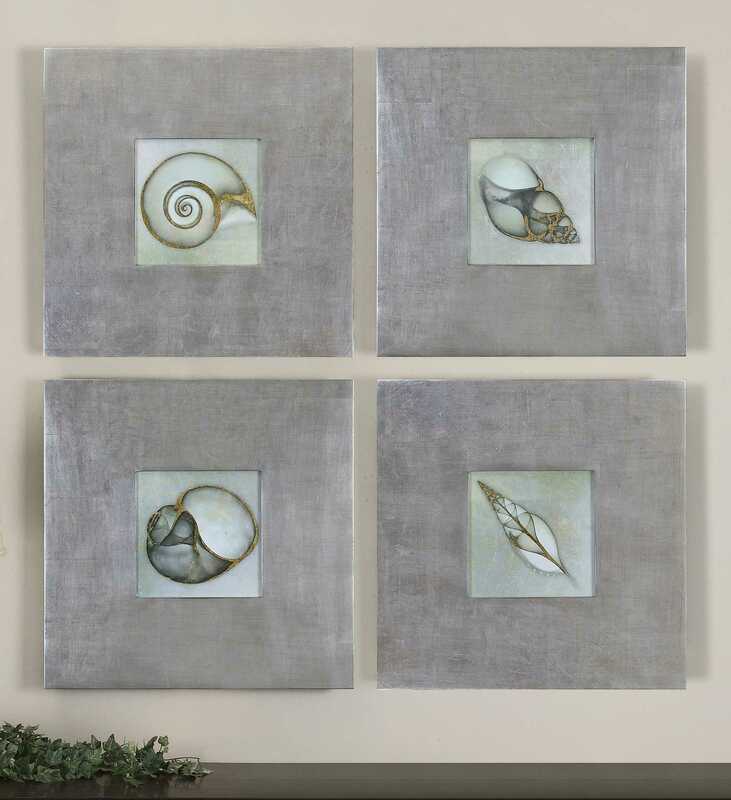 Each print features a sea foam green and gray color palette with bright gold leaf accents. 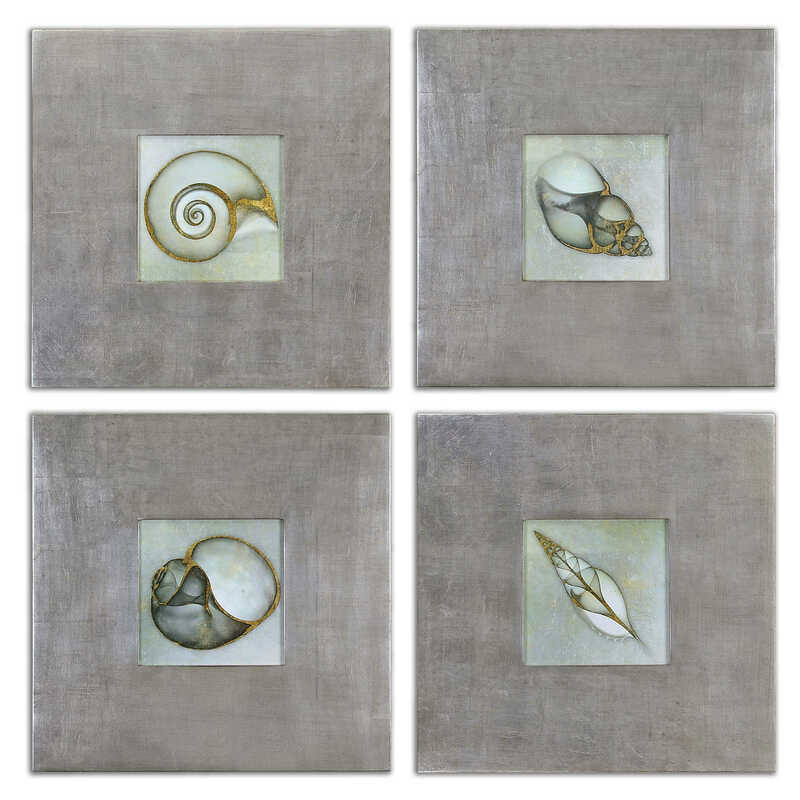 An oversized, champagne silver leaf frame with a light brown glaze completes each piece of art. Each print is placed under protective glass.